Tis the season – all those cute newborn foal pictures are popping up on Facebook and Instagram. And we all know there isn’t much cuter than a baby Miniature Horse. Wouldn’t it be fun to have one of your own? Really, why wouldn’t you breed your mare? Before you start hunting for a local stallion or shopping for a colt to add to your herd, maybe it’s time to ask a few questions of yourself. Why do you want to breed your mare? Is it because you need a foal to fill a job in your herd? 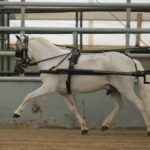 Are you doing your level best to improve the breed and feel that your mare has qualities and talents that should be passed on to the next generation? Do you have a waiting list of people wanting to buy foals from your bloodlines? Do you just want to have a cute baby? 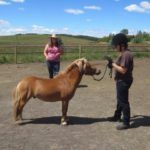 Do you have the space and resources to care for another horse long term? What about if the foal or your mare require veterinary care – do you have funds available to give them the appropriate care? When things go wrong during a foaling, they go very wrong very fast. Do you have the time and knowledge to monitor your mare around the clock to ensure you’ve done all you can to keep her and her foal safe? Do you know how to deal with a dystocia? A red bag? A dummy foal? Are you prepared for the potential emergency vet call? Foals need different care than adult horses to stay healthy and happy. Are you up on the latest research for parasite control in young horses? Are you willing to spend extra on appropriate feed for growing babies? Are you set up for safe weaning when the time comes? Are you planning to keep this foal indefinitely? 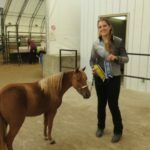 If so, do you have the knowledge or support system to train it to be a happy and contributing member of horse society? Are you prepared for the future feeding and care requirements? If not, have you thought about the marketability of your foal? 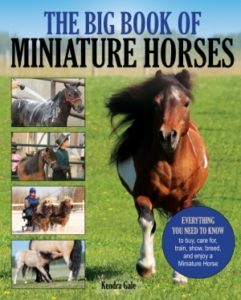 There are lots (LOTS) of miniature horses sold for peanuts. What is setting your foal apart? How are you going to ensure your foal gets one of the coveted “good homes”, where he will continue to get the quality of care he deserves? If this list of questions made you feel overwhelmed or angry, take a step back. 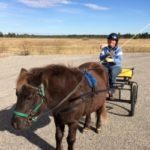 Maybe breeding your mare isn’t the best way to add to your herd. Maybe it is – I can’t make any decisions for you and I don’t want to. If your horses are healthy and happy and you do everything you can to keep them that way, then you are doing okay by me. Just remember, there are lots and lots of horses out there who need homes so if you are breeding your mare, be sure you’ve asked yourself all the hard questions first.